Rice water has inositol, a carbohydrate, which not only repairs damaged hair but protects it from further damage. Apply rice water to hair and leave in for 20 minutes then rinse. Rinse rice with water to remove any dirt or impurities, then place 1/2 cup of uncooked rice in a bowl. Leave for an hour or two. Stir from time to time. 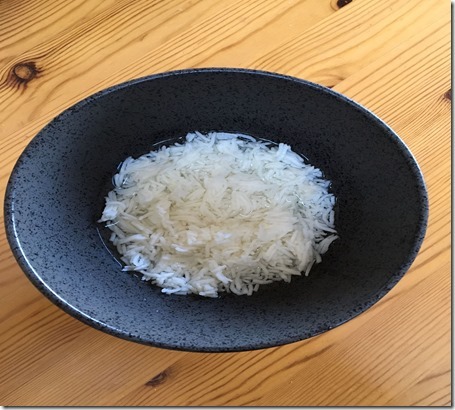 Strain rice water into a clean bowl. You can store it in the fridge for up to 5 days.